As the property owner, it is your obligation to find out if you need planning or other approvals for the proposed work. Do I need approval? Let your neighbours know as early in the process as possible, even before you get your plans drawn up. If the complying development is approved, as the property owner you will be responsible for notifying your neighbours before construction work commences. A standard letter is available here. Notifying neighbours. 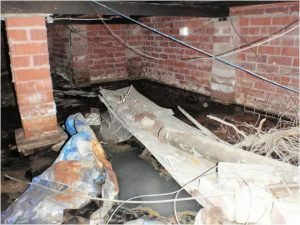 If your council requires Dilapidation inspections to be completed on the neighbouring properties and council land, engage a suitably qualified inspector to complete prior to commencement of renovations. Consider engaging an architect or professional building designer to prepare accurate and detailed plans. It’s a good idea to get three quotes for your building works to ensure you’re getting value for money. Ask for a written contract that clearly outlines the work to be done and a detailed costing. If the building cost is more than $5,000 the builder must use a major domestic building contract. Check with your home insurance to see if you need extra cover for the renovation work.